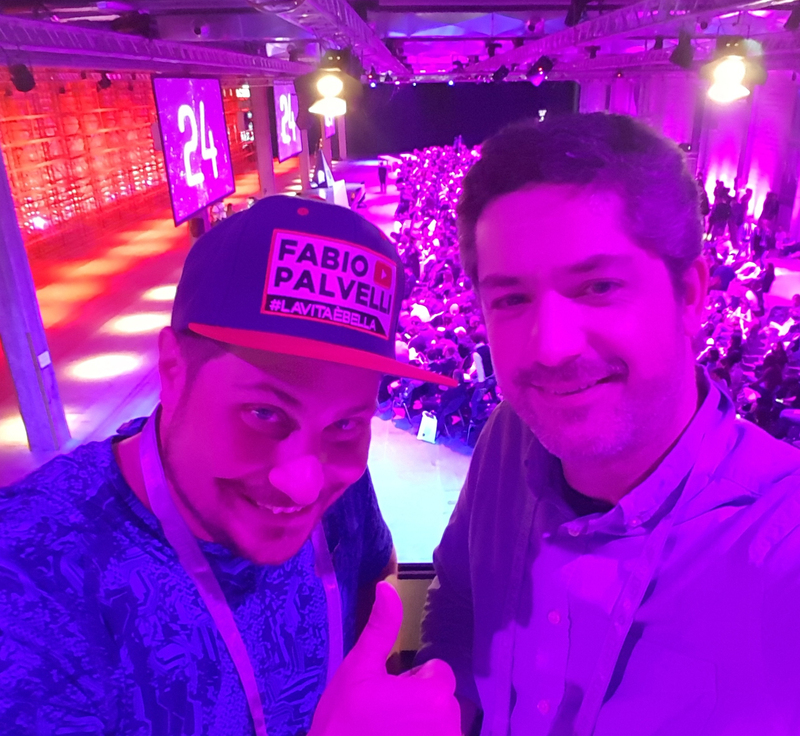 Last weekend Fabio and I met up at the Digital Design Days in Milan to get inspired and have a chance to meet some of the greats in the creative industry. We also wanted to have some face time to discuss strategy for the the d2 Conferences as well as our new venture, d2 Media. 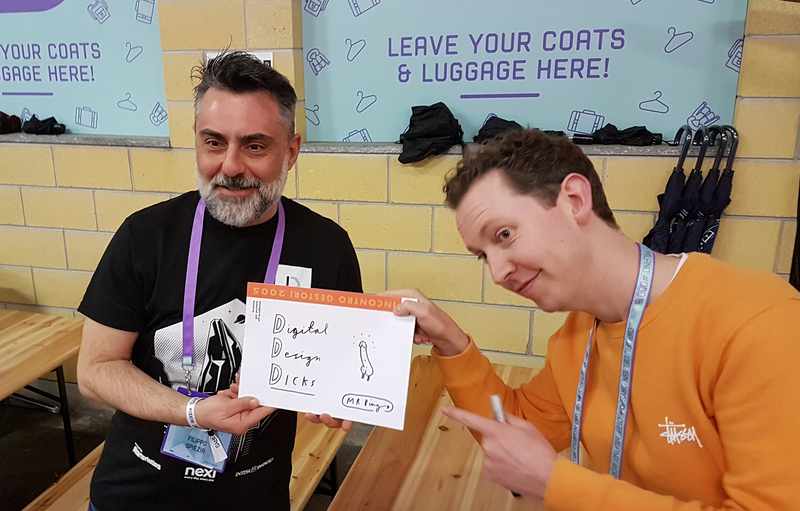 We were successful on all counts, getting to meet and chat with Ash Thorp, Chris Do, Tobias Wüstefeld, David Carson, Mr. Bingo, and Joshua Davis among others. 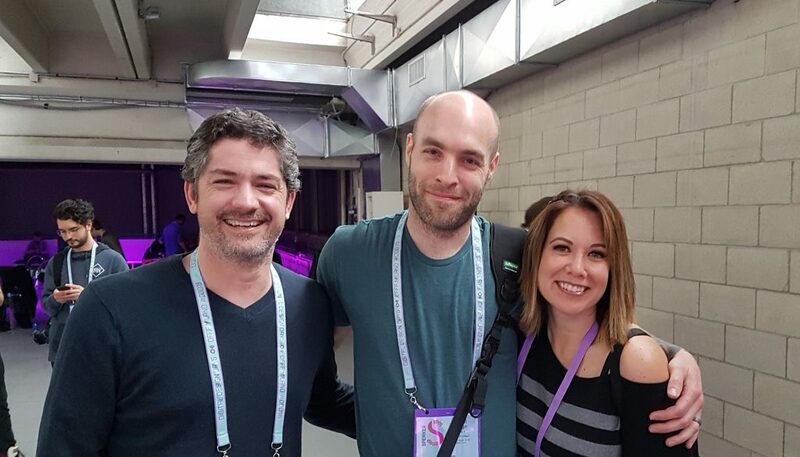 I was also honored to get to do a short interview with both Ash Thorp and David Carson, which I will transcribe and post here on the blog in the next few days. The event, simply put, is huge. 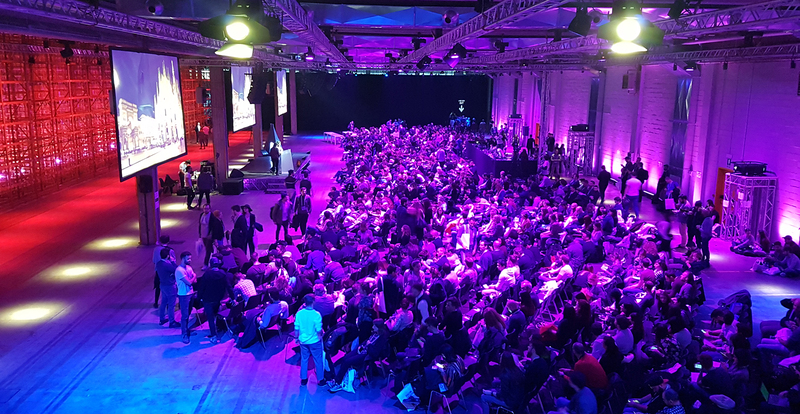 Filippo Spiezia, the main driving force behind the DDD, stated onstage in his opening remarks that there were over 2000 creatives gathered in the MegaWatt Court event location, and those numbers seemed accurate. We hope to also catch up with him in the next weeks for an interview so we can find out more about his story, and how he grew the DDD to its current level in only a few short years. Mr. Bingo presents Filippo Spiezia with a gift. This year’s edition appeared to be in partnership with OFFF, the creative festival that began in Barcelona, but has now branched out to many other cities around the world. They teamed up to bring speakers from a wide swath of the creative field to Milan. 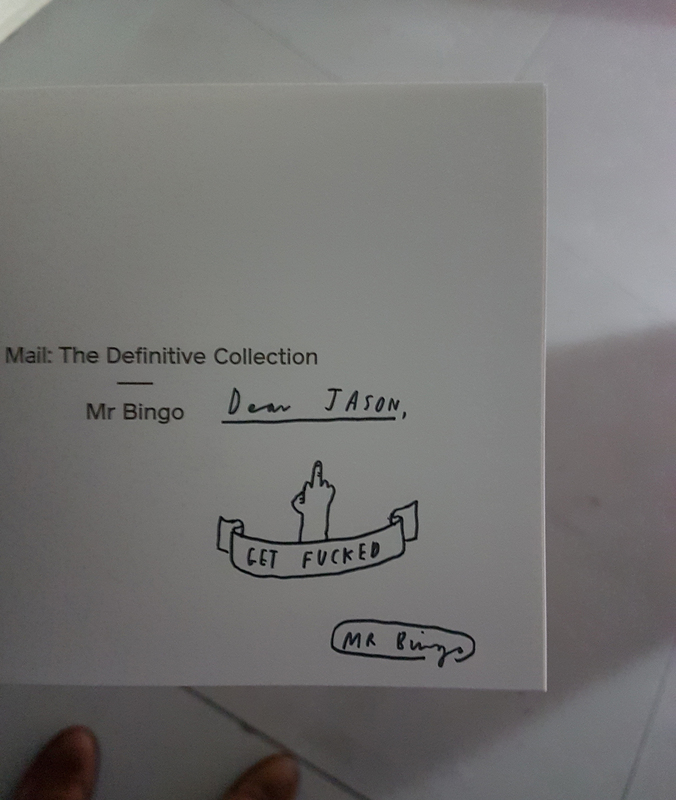 I got my own signed copy of Mr. Bingo’s Hate Mail book. While it was certainly a great weekend, I came away feeling a bit overwhelmed by the size. It is quite an achievement to bring so many people together, but I personally prefer the smaller more intimate events, as networking is much more manageable. We were lucky to have access to the restricted-access VIP area where the speakers would appear after their talk for a short Q and A session after their talks. They were also hanging around in that area during the event as it was a bit secluded and overlooking the main event space. A couple of screens were provided so you could also watch the presentations happening below on the main stage. Ash and Monica Thorp finally get to meet me. Of course, Fabio also made a vlog documenting the weekend, so have fun watching a couple of dudes running around in Milan.